In 1955, Albert D. Cohen (who happened to be in Japan on business) learned of the transistor radio advances being made by "Tokyo Tsushin Kogyo Ltd." As president of the Canadian import agency General Distributors Ltd. (predecessor to Gendis Inc.) which handled consumer electronics products, Cohen was very interested in this previously unknown Japanese company and immediately set up an appointment to personally visit the company's facilities. When he arrived, he was met by one of the founders of Tokyo Tsushin Kogyo Ltd. (the company would change its name to "Sony" in 1958), Akio Morita (then serving as Senior Managing Director). Cohen was so impressed he signed an order to begin exporting the TR-55 (the company's first transistor radio) to sell in Canada. From then on, Cohen's company served as Sony's import agency for Canada. More than five decades later (on June 17, 2011) Japan's Cabinet Office announced the recipients of official Japanese honors for spring 2011. 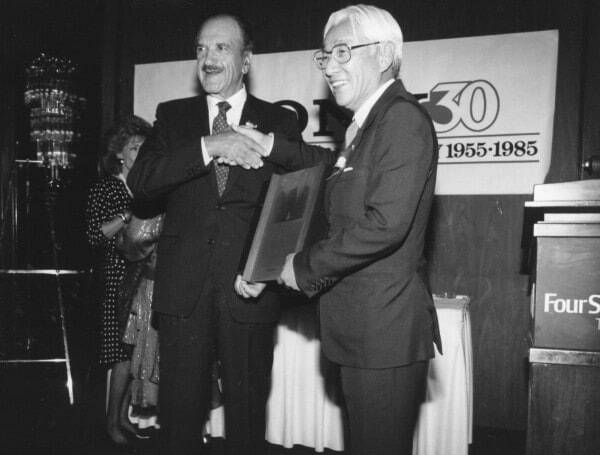 Among these individuals, Albert Cohen, former president of Sony Canada, was honored with The Order of the Rising Sun, Gold Rays with Neck Ribbon. This honor was conferred to recognize Cohen for his contributions to the promotion of Japanese exports and overseas expansion of Japanese corporate interests as well as his contributions to the strengthening of Canada-Japan commercial relations. That first order Cohen signed to purchase Sony TR-55 units amounted to $1,350. A decade later the value of Sony's Canada business would jump to $3 million. In an age when "made in Japan" typically conjured images of inferior quality, Cohen realized the advanced potential of Japanese researchers and the technological research being carried out in Japan. His business acumen enabled him to leverage this potential and expand the export of Sony products throughout Canada. In 1975, Sony and Gendis signed an agreement establishing the joint venture "Sony Canada" with Cohen continuing to serve as president of both firms until 1994. 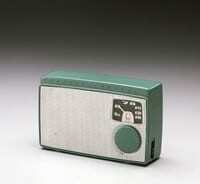 It should be noted that the TR-55 was the first product to carry the "SONY" logo. In other words, Cohen is not only recognized as one of Sony's first partners, but also recognized as the first man to sell a "Sony" product overseas.